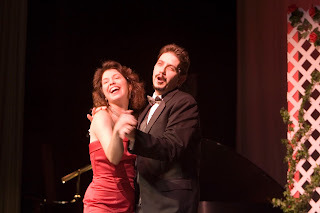 Join Patrons who have found love again with That's Amore!Only 2 performances left! Opening Weekend Patrons Loved The Show Opening weekend of Petite Original Productions' new musical love story That's Amore! really touched patrons. 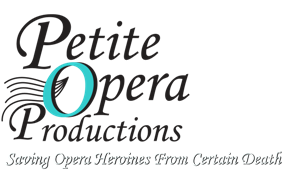 The company received calls from patrons who raved about what a great time they had at the production. "I loved the audience participation section!" ... "There was never a dull moment, the story just kept building!" ... "I was so much on the edge of my seat that the time just flew by." ... "This is such a wonderfully engaging story." ... "Very talented, expressive performers." ... 'It was a walk down memory lane. I swear that Michael and Jenny lived my life." ... "[Steven and Susan] have such dynamic acting and vocal ranges." ... "The band was a terrific embellishment to the story." ... "My friends have to see this!" There are only 2 performances remaining, so be part of the love story! Accompanied by a terrific instrumental combo (Cody Michael Bradley and Jerry King), this original 2-person show features beloved selections from stage and screen, and even includes audience participation.